In the heart of the Mother City lies a unique escape from the hustle and bustle of Cape Town’s most loved street for nightlife activity: Long Street. Rich in history, with a new approach, Suntravolta promises to live up to its legacy (for the most part). 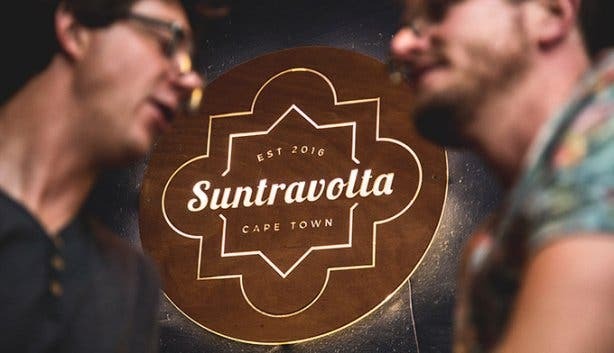 Situated right across from the long-standing Lola’s café, Suntravolta is a hotspot for locals and visitors to the all-inclusive Mother City. The beach bar and eatery teases visitors with a taste of a coastal paradise with palm trees and wooden finishes, natural light during the day and low-light setting on the balcony at night, keeping patrons locked in until the wee hours of the morning. Symbolising a warm welcome to travellers and locals alike, Suntravolta shares a wooden stairwell entrance with Carnival Court backpackers, which is why it is not unusual to hear the sweet sound of a French or Portuguese accent lingering through the hallway on your way up. 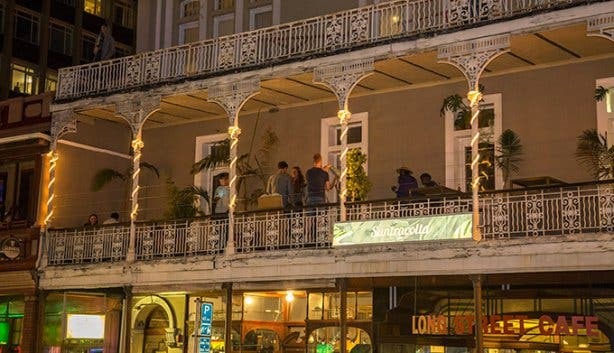 The Victorian building which is home to Suntravolta dates back to the year 1902, when the entire building was used as luxury accommodation, and between the 60’s and 70’s this hotspot became a well-known ’Gentleman’s Club’, and many described the line of business as “mysterious”. In an attempt to unpack the suspicious activity taking place, South African satirist and social activist, Pieter Dirk Uys wrote a play called Karnaval in 1975, which was banned by the censors for five years. One of the headlining bohemian dancer’s name was Paradise, a surfer and traveller. She acted as a muse to many, inspiring many a poem, and was often described as being “Sun Travolta”, which means being overwhelmed by or in awe of the sun. 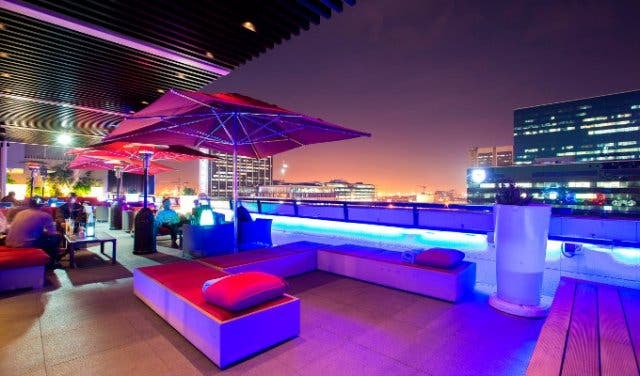 This fantastical tale sets the tone for the enchanting experience at Suntravolta, minus the dubious reputation that the establishment had in the past. 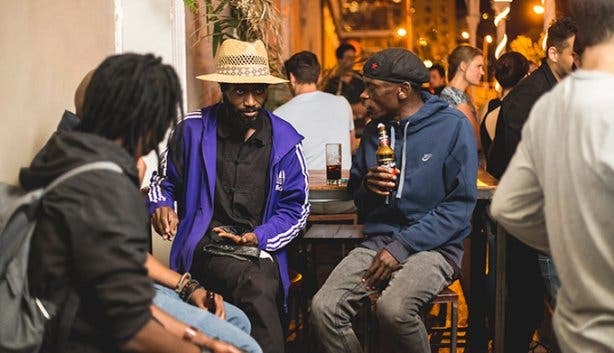 In the 80’s and 90’s this exclusive hotspot hosted some of South Africa’s leading musicians at the time, and the newly revived hotspot looks to do the same with an array of musical events. 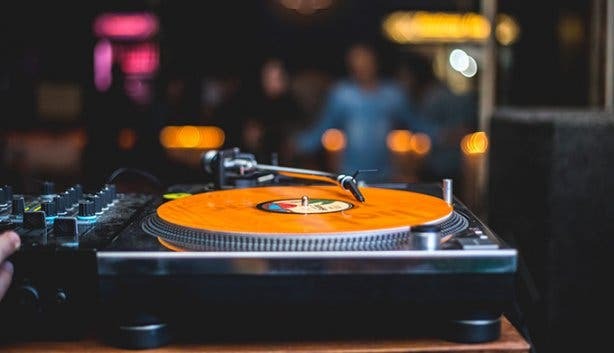 Wednesday nights from 9pm onwards, patrons can expect to be blown away with live acoustic sessions, hosted by Shut Up&Listen. 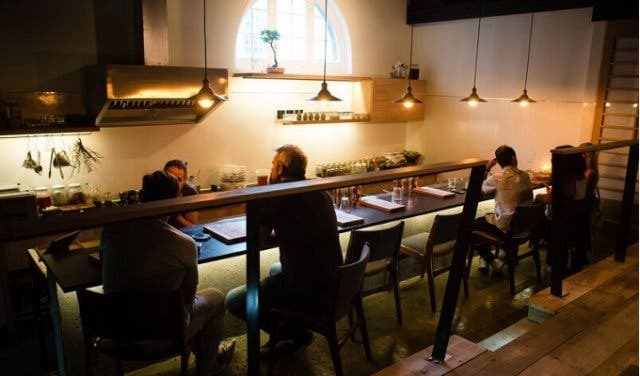 “It’s a unique vibe, a space where young adults in their mid-twenties can come to sit down, have a beer and watch live music,” says owner Stewy Van De Burgh. Thursday and Saturday nights various DJ’s hit the decks with a variety of 80’s pop and indie music, and Roastin’ Records gets the party started every Friday night. 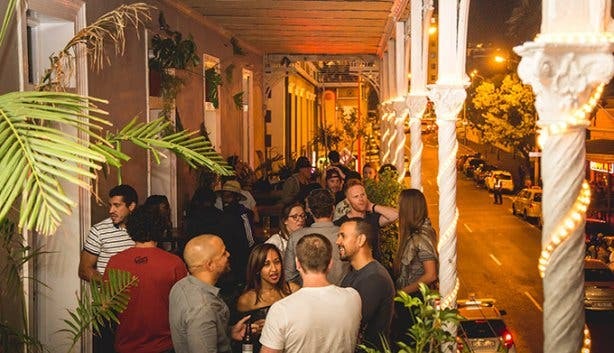 Note: Suntravolta was once known for jazz evenings on a Sunday and hopes to bring that tradition back to Long Street. Keep your eyes peeled to Suntravolta’s Facebook page for updates. 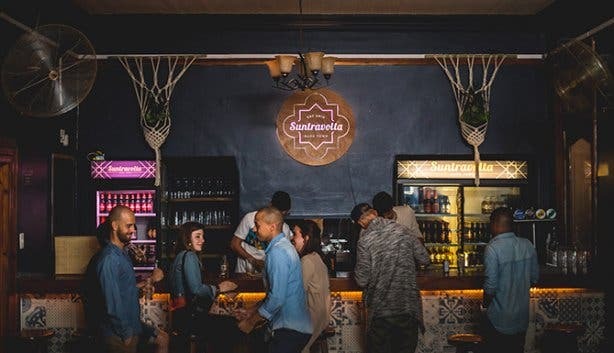 Tip: Grab one of the four pizzas on offer at Suntravolta, accompanied by a draught of Jack Black, Alliance, Patriot, or Devil’s Peak while chilling at the beach-style bar. Pop in between 6pm and 7pm for two-for-one Happy Hour deals daily.